THE Zerek Stalker was created to make a unique sound while being retrieved, appealing to large surface-feeding predators. 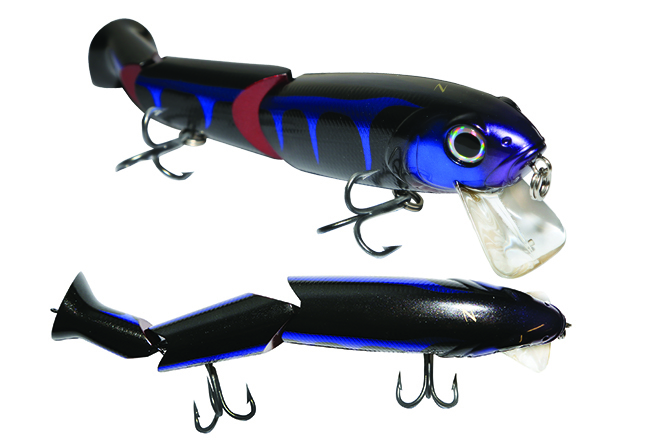 The Stalker has a snake-like swimming action that rocks the internal rattles and knocks the lure’s sections together, creating the unique sound this lure emits. A jointed, three-piece wakebait with through-wire construction and large boot tail, the Stalker is built to handle the extreme tackle anglers are using with these lures. Fitted out with 5x strong Mustad trebles to ensure a solid and secure connection, the Stalker exudes strength in all areas. Make no mistake, this lure is designed to be fished hard for big predators including Murray cod, barramundi, trevally and other reef thugs. Initially released in the 250mm, 150g Mega version, the Zerek Stalker will be available in two sizes and eight colours by the end of the year. The Zerek Stalker is a tough addition to your kit that will take on the biggest predators in your area. Visit wilsonfishing.com.au for more information.